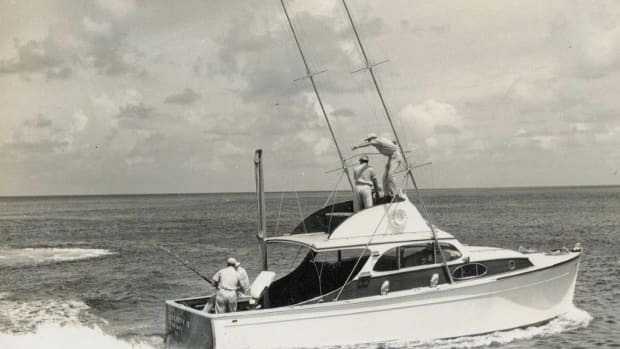 The Bertram 61 combines classic lines, a comfortable interior and formidable fishing features. 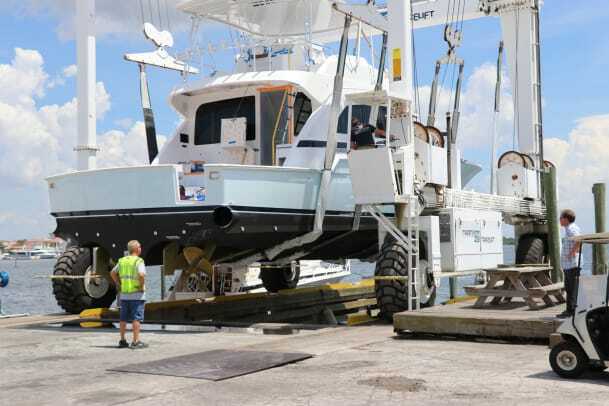 Just a couple of days ago, I got an invite to visit Bertram’s facility in Tampa, Florida to check out the new Bertram 61, a straight-shot inboard battlewagon with a couple of CAT C32 ACERT diesels in her ER, a conventional interior arrangement featuring three staterooms (an amidship master, a forward VIP and a starboard guest), a touted cruse speed in the mid-30-knot range and a get-up-and-get-gone projected top hop of 45 knots or so. 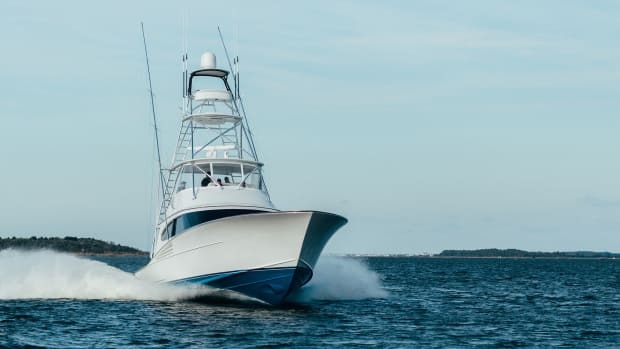 The 61, of course, represents the revitalized builder’s ongoing campaign to regain the brand’s lofty status as a full-tilt sportfishing icon. 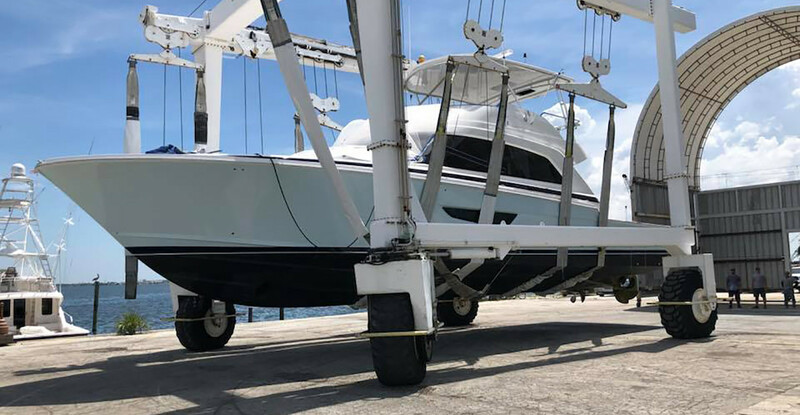 Would she duplicate the classic good looks of the 35—the campaign’s highly publicized opener—as well as the smaller boat’s top-shelf construction and engineering? When I arrived on the scene, the interior of Hull No. 1 was not quite complete, although the Bertram folks assured me she’d be ready for the official press intro in Ft. Lauderdale toward the end of this month. The exterior, however, was essentially finished, a state of affairs that allowed me to form an opinion on the classicism front. Yes indeed, the Bertram-esque good looks were there alright, in spades! 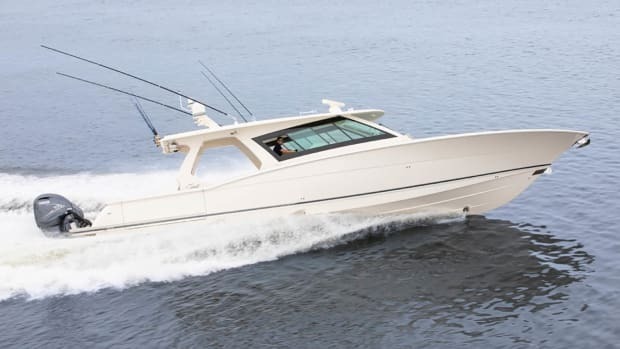 And more to the point, in my opinion the boat is rather reminiscent of the old, very popular Bertram 54 in terms of appearance and style, although she’s accoutered with side windows and her profile seems just a tad lower and sleeker. Designer Michael Peters’ reverence for the Bertram marque is well known and, to my mind, he’s tastefully incorporated it in the new 61, albeit with a modernized, updated touch. Top-shelf construction and engineering? There were three 61s in build when I paid my recent visit, a setup that made it pretty easy to pick up on some telling details. For example, the boat’s entire deck is infused using vinylester resin. 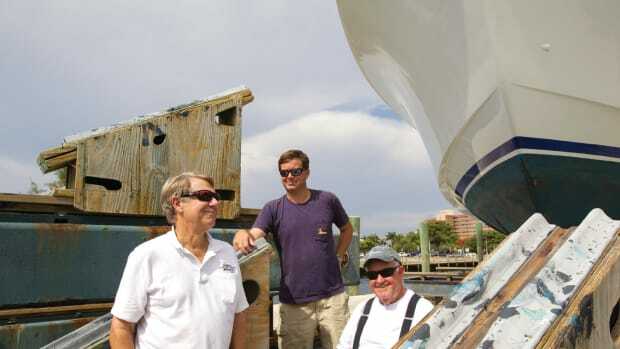 And the hull is infused with vinylester as well and beefed up with Kevlar in way of the keel and strakes. Fuel tanks—one forward, the other aft and both fully baffled—are also composed of fiberglass—of the fire-retardant-type—and are, by my estimation, a good three-quarters of an inch thick. When I jumped up and down on one of them in my deck shoes it was like jumping up and down on top of a freakin’ rock. My take away? 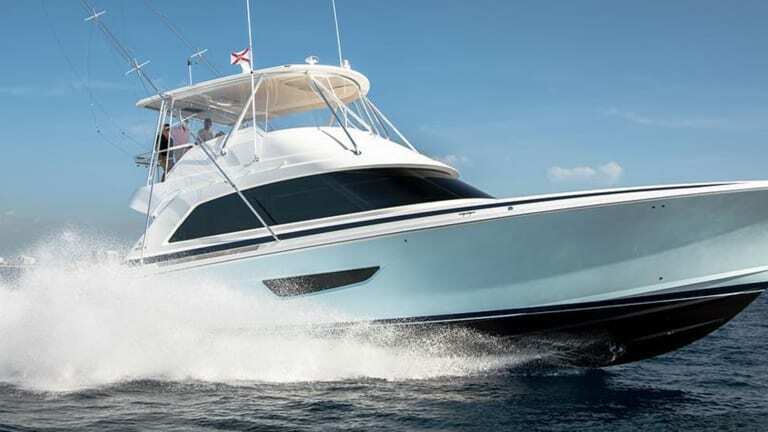 The 61 is a solid, solid vessel—perhaps even overbuilt. And as for the engineering, I had a brief opportunity to spend some time in the 61’s engine room just before Bertram’s engineers lowered her into the shallows of Tampa Bay to test her mechanicals. Again, my take away entailed solidity. I counted two gensets on board, not just one. And while there were duplex Racors for the mains, the gensets were outfitted with duplex Racors as well. Great! 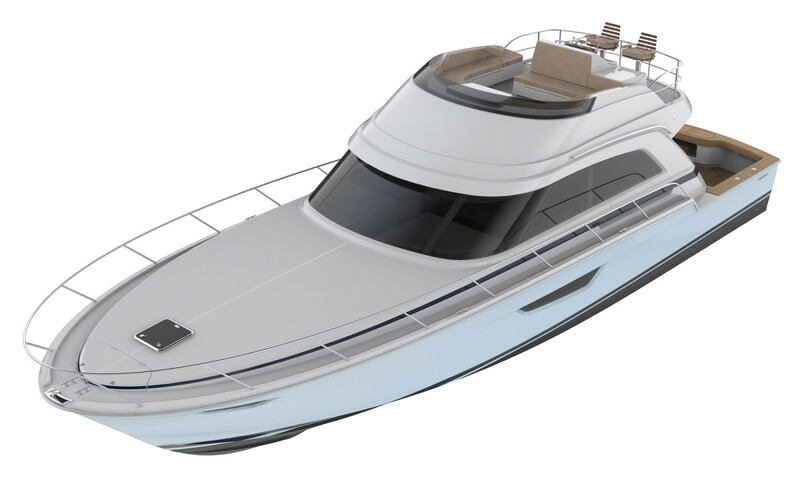 In addition, a Carling Octoplex system guaranteed that all electrics from stem to stern (both AC and DC) would be at the touch-screen beck and call of an owner. And the presence of a Cat Three60 control box promised optional joystick control. “How soon can we sea trial ‘er?” I asked Bertram marketing manager Allison Reis, the lady who’d so nicely facilitated my sneak peek invitation. We were both watching as the new Bertram 61 maneuvered modestly out beyond Bertram’s giant Travelift. The boat seemed to be floating precisely “on her marks,” as they say, both longitudinally and transversely. 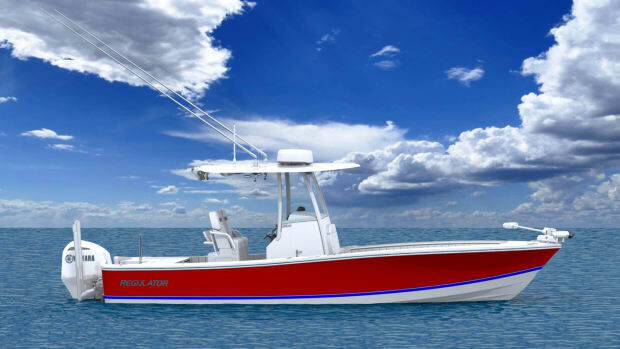 Scout to introduce its largest center console to date at the Miami Show. 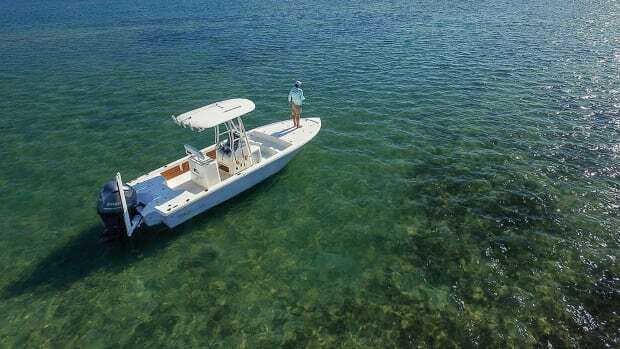 The Merritt Family Has For Generations Been Building Handsome, Nimble Boats That Fish Exceptionally Well. 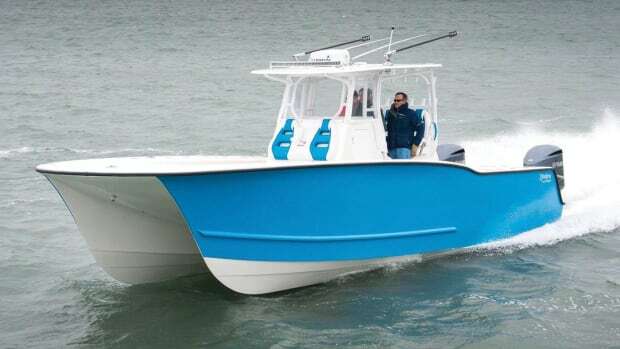 A custom builder with Carolina roots expands its line of fish-friendly catamarans. The Evolution From Dories And Wicker Chairs To Miss Chevy II And The Modern Fleet That Followed. 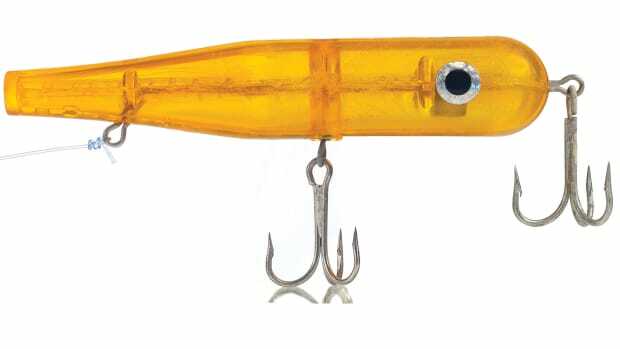 A veteran striper fisherman goes to great lengths to make exact replicas of an old plug that still exerts a certain kind of magic on the fish. 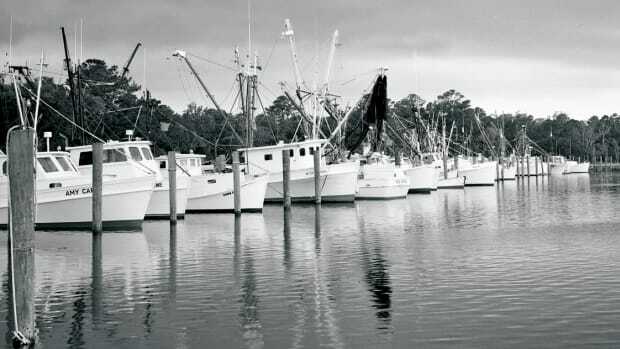 The Vanishing Workboats Of Core Sound Embody Beauty And Utility.